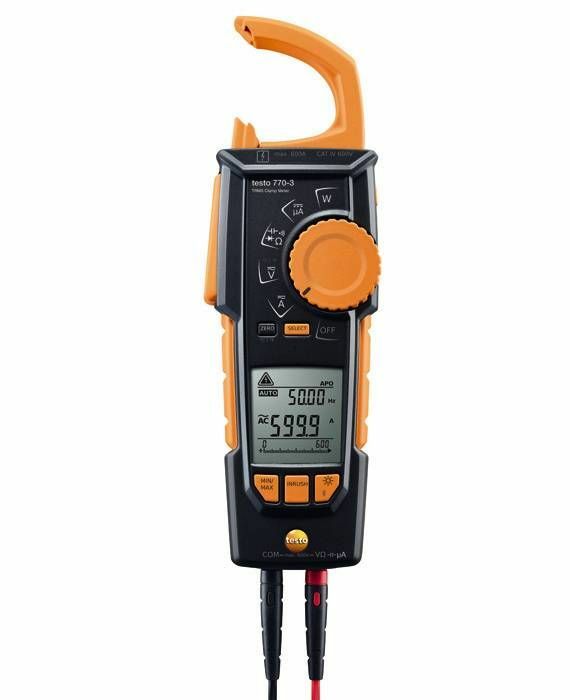 Using the clamp meter, it is also possible to measure temperatures in addition to electrical parameters. This adapter is used to attach type K thermocouple temperature probes to your clamp meter. Simply insert the adapter into the clamp meter and attach a type K thermocouple temperature probe onto the adapter. Please note that temperatures can only be measured in the range between -20 and +500°C. 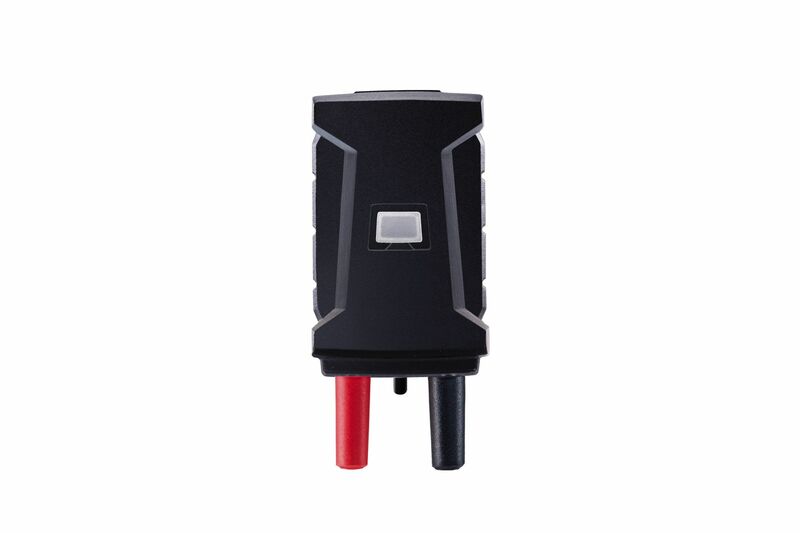 The adapter enables accurate temperature measurement, because it has ambient temperature compensation. Adapter for type K thermocouples, including lithium battery CR 2032.